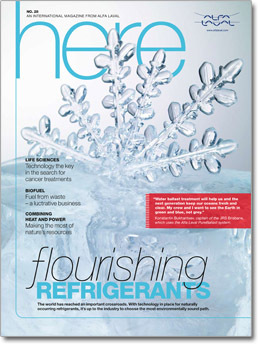 Here online magazine brings you the latest insights, analysis and inspiration from the world of Alfa Laval — and beyond. 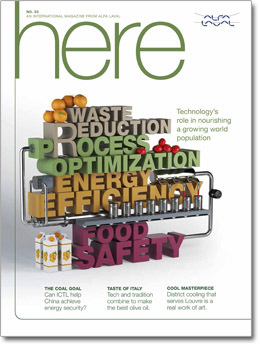 With a focus on how processes can be improved to save energy and protect the environment, Here explores global and local challenges and the innovations and solutions that can address them. 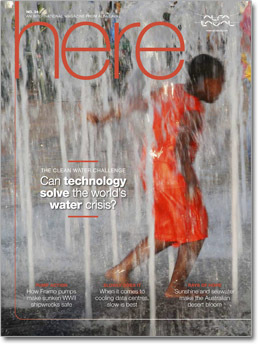 How technology can help ensure there is enough water for everyone on the planet. Technology's pivotal role in feeding the world's 9.6bn people by mid-century. 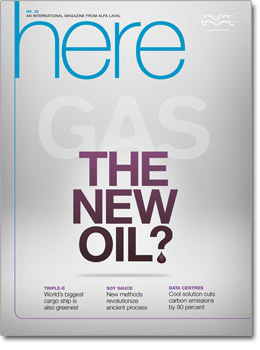 Technological advances have lead to a natural gas boom that could have widespread global effects. The risk of incidents is ever present, so how does the gas industry tackle its safety challenges? 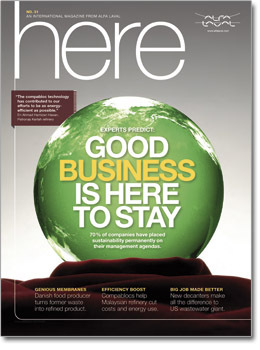 A sustainable business agenda is good for the planet and the bottom line. 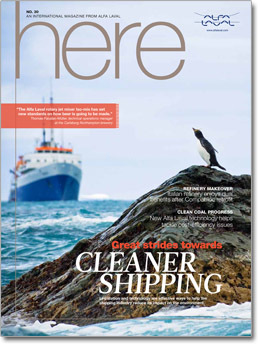 New technological solutions help the shipping industry tackle environmetal threats at sea. 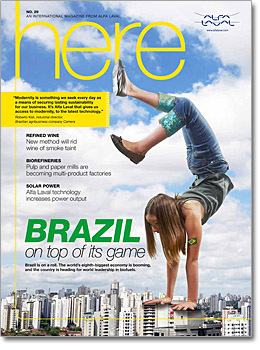 As Brazil's economy booms, the Latin powerhouse is heading for world leaderhip in biofuels. 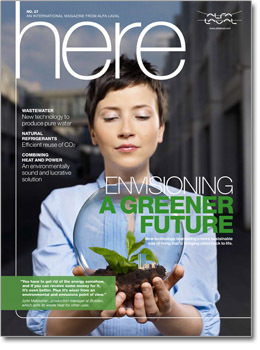 Technologial innovations have led to radical new urban sustainability initiatives. But what are the barriers to a sustainable city, and how close are we to the dream? 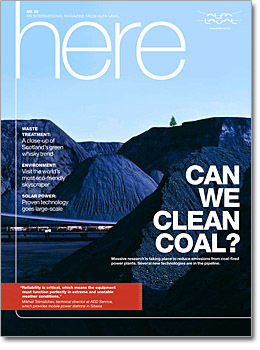 THEME: Can we clean coal? Massive research is taking place to reduce emissions from coal-fired power plants. Several new technologies are in the pipeline.